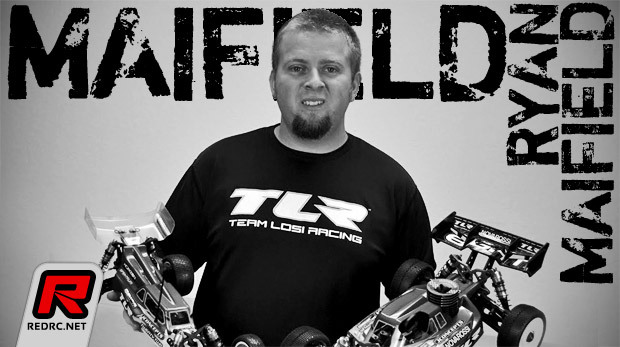 We have seen him announce his departure from Team Associated, with whom he drove with for 13 years, and more recently he was confirmed at both TLR and Team Orion going forward. We sent over a few question to Ryan Maifield to get a bit more insight into his decision to move to a new team and what his expectations are for the seasons ahead. Red RC: It was a big decision for you to leave Team Associated after 13 years, a successful partnership, one which saw your name and Team Associated’s so closely connected. Can you tell us what the reasoning was behind behind your decision to leave? Ryan Maifield: Yes it is tough and it was not a easy decision, it’s one that kept me up many nights, I believe I have made the right decision for me and my racing career and for a career after racing. Associated has been there for me and with me since the beginning of my pro career and I appreciate everything they have done for me and will always be thankful for the opportunities I was given racing for team associated. The decision to not renew my contract with team associated is purely based on me wanting to explore other opportunities with in the industry, there isn’t one specific reason for my decision, it is not money motivated, or any sort of personal issues with anyone at associated, I consider them friends and I hope that can remain after all this is settled. Red RC: We don’t usually see team changes Mid season, especially for pro drivers of your level and certainly not so close to a World Championships. Was the timing simply because your contract was up for renewal or did you decide to leave your current team? RM: Yeah it is a little unusual to move in the middle of the year and so close to worlds but at the same time when I signed my associate contract it was a multi year deal and it is difficult to plan for worlds events, the schedule is always changing, and to be completely honest I don’t think either party thought this day would come where we would split ways but things change and my contract just happened to expire mid year. Red RC: You have been very successful in both Electric and Gas off road, but it has become harder to be competitive with the company’s 1/8th platform, despite your awesome 2nd spot at the ROAR Nats last week. Was Team Associated’s decision to go back to the older RC8 buggy, having dropped development on its successor, a factor in your decision, especially coming up to a World Championships? RM: Yeah I would be lying if the troubles with the 1/8th program didn’t play a part In my decision, there were many other factors involved as well not just the 1/8th program. Red RC: Leaving behind a team which has become like family must be tough, and while you will still see them at the races it must still be hard to make that separation? RM: It is very difficult to make a big change like this and especially when you’ve been with the same people for as long as I have, I consider them all my friends and I hope to remain that way, it may even bring us closer in the long run as friends when you take the frustration of racing out of the equation and I hope that’s the case. Red RC: Signing for TLR, were you contacted by them coming up to your decision or was it a case of you looking for a new drive ahead of any potential decision to leave? RM: I think it was a mutual act of looking for the relationship to happen, most companies don’t have it in there budget in the middle of the year to sign a big name guy and TLR seemed to be ready and able. They were my first choice if I ever left associated and I appreciate them welcoming me and I am very excited to start working with them. Red RC: What were the biggest factors in your decision to choose TLR as your new main sponsor? RM: I chose TLR because I believe they have the best vehicles from top to bottom right now, with the 3.0 1/8th cars and the 2.0 1/10th cars I know I can compete for wins with every vehicle they make. The fit and finish and build quality of the TLR cars is awesome and that makes my life a lot easier at home when I’m preparing for races. 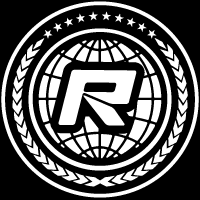 Red RC: We presume you have tested your new rides. What are your initial impressions of their range of cars? RM: My initial impressions are good, they are great quality from top to bottom, I have driven the the 1/8th buggy and I couldn’t believe how fast and nimble yet easy to drive the car was. Red RC: We see a lot, if not all, TLR drivers also running for Spektrum. Will we see you now running the DX4R? RM: Not at this time no, I have a lot on my plate already with this move and changing radios would be very difficult at This point in the year. Red RC: Leaving Associated you are also leaving behind Reedy as an electrics sponsor and joining Team Orion, can you you give us your thoughts on this? RM: Yep! I am very excited to be running for Orion, they make awesome equipment and have the best quality in the industry and with such a large race team already I look forward to working with everyone at the races, i want to thank joe pillars for keeping a place open for me at Orion, we have been friends for a long time and I look forward to working with him at future events. Red RC: When can we see you making your debut with your new race package? RM: I will be racing the JConcepts indoor nations in Chico CA July 12th that will be my debut race for electric, then on the July 26th I will race the JBRL in San Diego CA to give the new nitro cars a shake down.